Arthritis is a degenerative disease that causes inflammation of the joints. It’s common for people suffering from arthritis to first notice joint pain, swelling, and discomfort in the feet. This is because the forefoot area contains a high density of small bones and joints, and is typically under a lot of pressure from normal activities. Age is a factor in developing arthritis, becoming more prevalent in those over fifty. Arthritis in the foot can take several forms, including osteoarthritis, Rheumatoid arthritis, gout, lupus, and psoriatic arthritis. The most severe is Rheumatoid arthritis, which involves chronic inflammation and can affect multiple joints. Osteoarthritis is more common, resulting from wear and tear on the joints, especially among athletes and older individuals. A traumatic injury, such as an ankle sprain, fracture, or tendon rupture can also lead to arthritis in a joint. Arthritis can lead to discomfort while walking, running, or even standing. Left untreated it can worsen over time, causing more damage to the joint (cartilage, bone, and ligaments). It can deform the foot or ankle and weaken the overall foot structure, eventually crippling the patient. 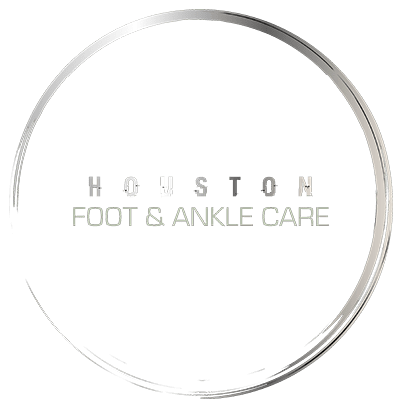 When arthritis of the foot and ankle is caught early, a podiatrist will focus on relieving symptoms and protecting the joints from further damage. This includes conservative treatments like the use of orthotics, change in footwear, the RICE method and anti-inflammatory medications. For severe cases, surgery of affected joints may be necessary.